AluGro specialises in the manufacturing of custom made quality aluminium products. These products are manufactured from aluminium extrusions (profiles) manufactured to ISO standards. Specialist equipment, careful attention to detail, caring and well-trained staff, will ensure that your doors and windows are made to the highest standards. We pride ourselves on using only approved and tested components that will last for years without problems. Our staff has been extensively trained in the manufacture of our products. Almost all of our products can be either powder coated or anodised in the colour of your choice. Glazing options vary from 4mm normal or toughened to SIG (double glazed) glass. 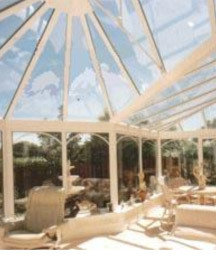 We comply with SABS standards in terms of safety specifications for glass. From initial consultation, to the final clean-up after installation, you can be assured that we will look after your improvement project as though it were our own.